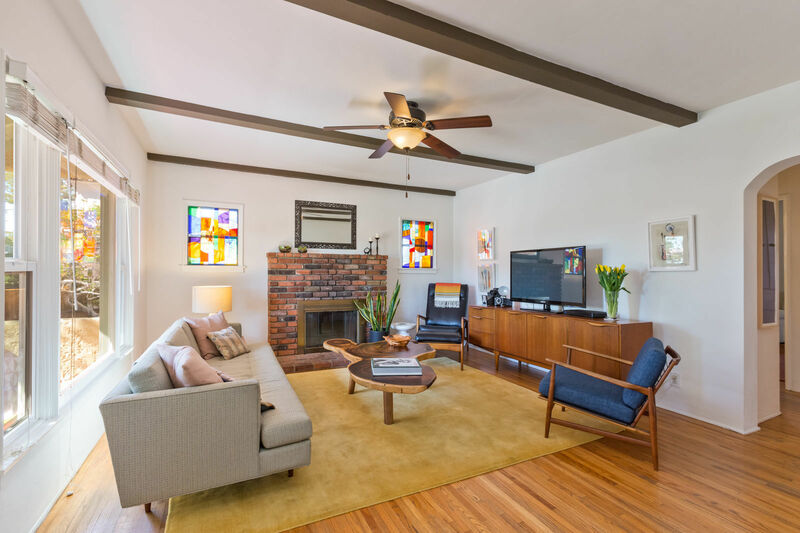 This Spanish Colonial Revival house in Burbank is described as a “starter home” in the listing. Not sure who’s starting out in an $800,000 house, but whoever they are, they are envied. This three-bedroom residence has a front porch and a bright front room with a fireplace and a dining room. The colorful, newer kitchen features fiery red accent tile and stainless steel appliances. Wood floors run throughout the house. Outside, the rear yard has enough space for entertaining or kids to run around. The house last sold in 2015 for $628,000. It’s now listed for $799,000.